**Renewal Forms will be available online only and no longer mailed to licensees. 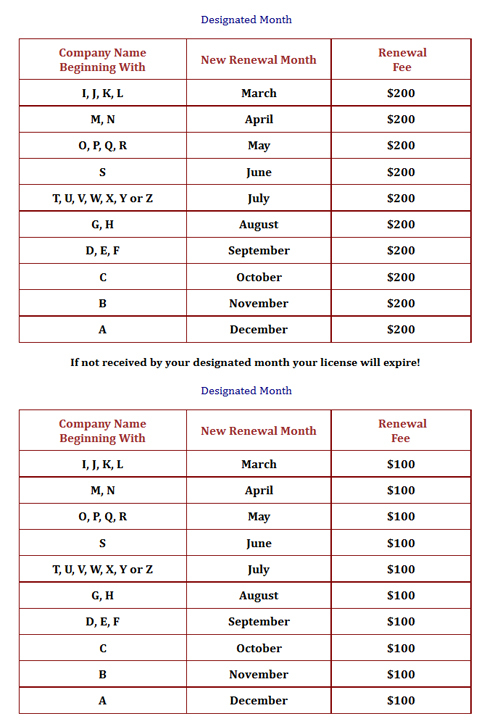 Any renewals submitted more than 45 days prior to license expiration may be returned. In response to questions concerning renewal in these tough economic times please be advised that if you fail to renew your license within a year from your expiration date you will be required to submit a new application and to take the TRADE EXAMINATION(S) along with the business and law examination. If you have any questions, please call the Board at 334-272-5030 and ask for your Renewal/ Licensing Specialist.